This bbq pork recipe is easily one of our favorites lately – it’s SO GOOD! It’s even better that it’s a bbq pulled pork instant pot recipe so it makes dinner quick and easy. It’s savory, sweet, and crazy good. 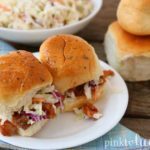 It’s a bbq pork recipe your entire family is sure to love! For those of you that LOVE a good barbecue recipe – you’ll want to try this one out. The instant pot makes dinner SO EASY and this bbq pulled pork recipe is so delicious! I love my instant pot and how easy it makes dinner time – this bbq pork recipe included. If you haven’t hopped on the instant pot bandwagon yet, I highly recommend you do! You’ll wonder how you went so long without one. My instant pot saves me so much time since I’m not standing over the hot stove in the kitchen and it’s the perfect recipe for summer without getting the kitchen too hot. 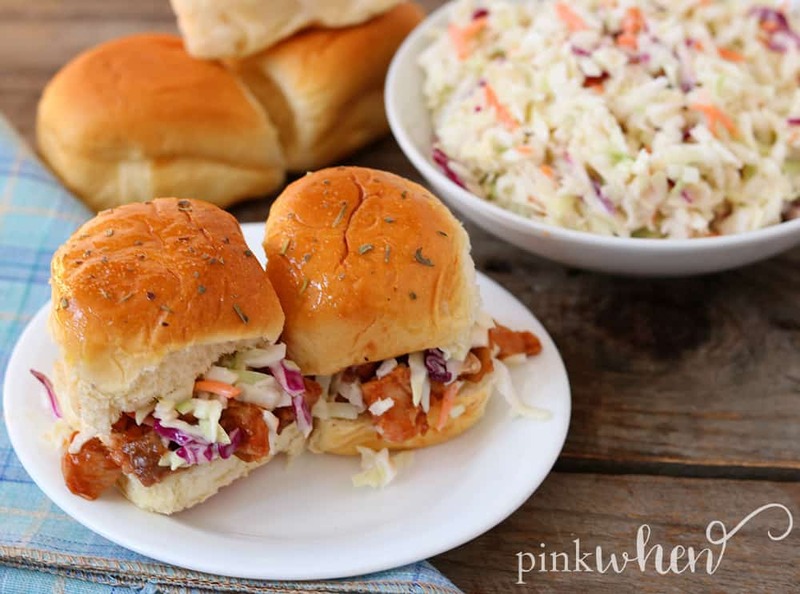 You’ll want to save this bbq pulled pork recipe for those crazy summer nights! This bbq pulled pork instant pot recipe is as easy as mixing together some seasonings and throwing it all together in your instant pot. Just scroll down below to grab the full recipe. One thing I do want you to pay special attention to though – is the size of your boneless pork. Make sure you adjust cooking times depending on the size and thickness. 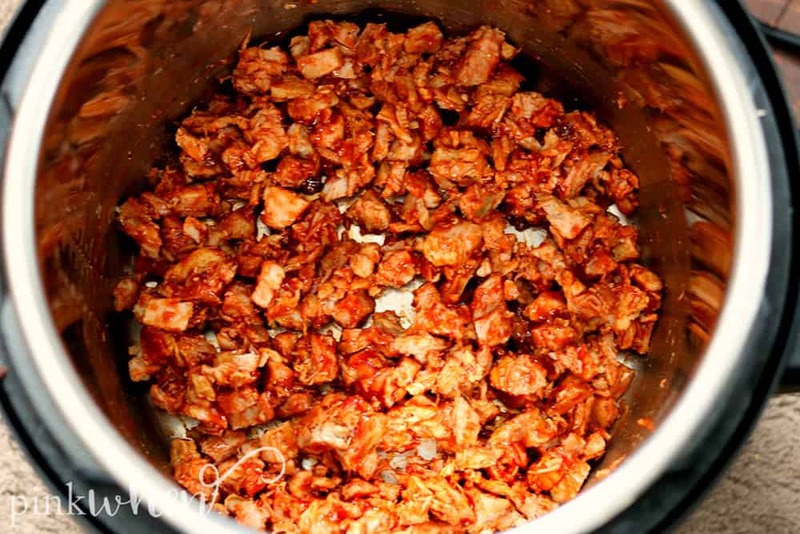 Always make sure to adjust the settings on your instant pot if needed – you want to make sure your boneless pork is cooked all the way through. I know you’re drooling now and want to get to the recipe so I won’t keep you waiting any longer. I know this pulled pork recipe will easily become a family favorite! 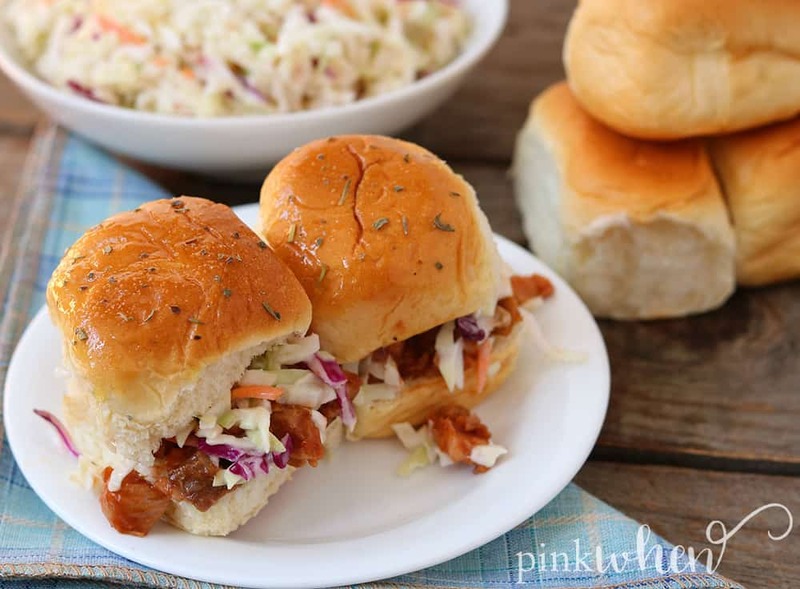 Enjoy this sweet, savory, delicious bbq pulled pork recipe just in time for summer! Make sure to let me know how it turns out, I would love to see it! Quick and easy Instant Pot BBQ Pork recipe. In a large bowl, combine garlic powder, onion powder, paprika, dried oregano, dried thyme, cayenne pepper, salt, pepper, and olive oil. Add the boneless pork and mix well to evenly coat. Set instant pot to sauté mode and add pork once heated up. Brown the pork for about 2 minutes on each side. Set instant pot to manual high for 30 minutes to cook. 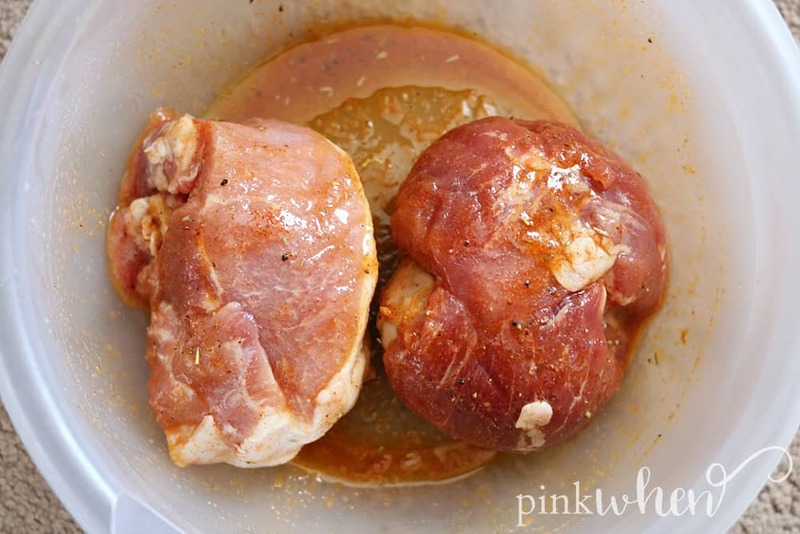 Once finished cooking, remove the pork and drain juice. Chop pork and add back to instant pot on "keep warm" setting. Stir in barbecue sauce and heat until warmed all the way through. 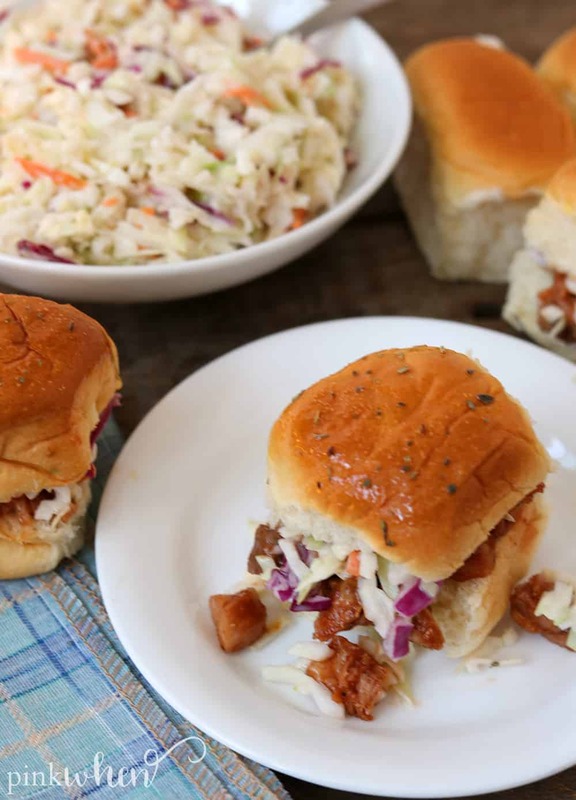 Serve on rolls or warm tortillas with coleslaw and enjoy! 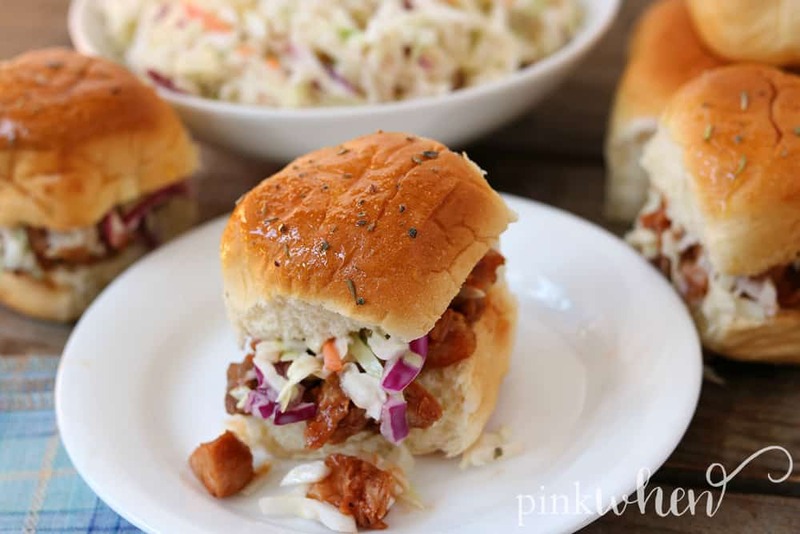 Love this bbq pulled pork instant pot recipe as much as we do? 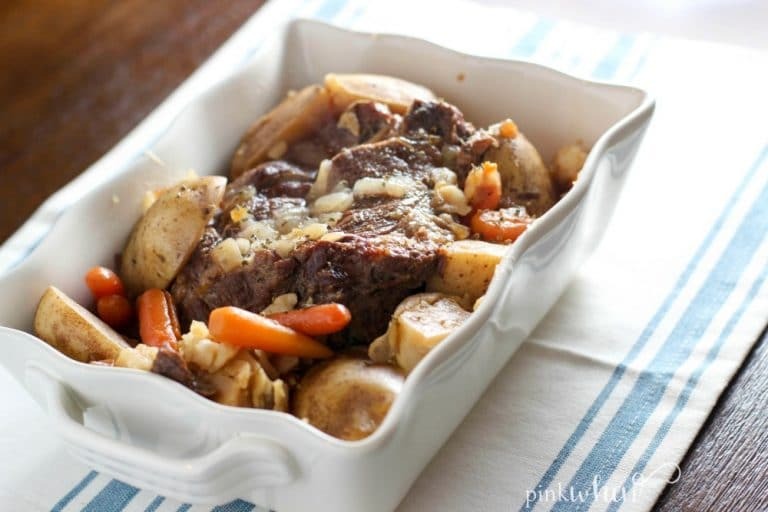 Try some of my other favorite instant pot recipes like this Instant Pot Pressure Cooker Pot Roast Recipe! 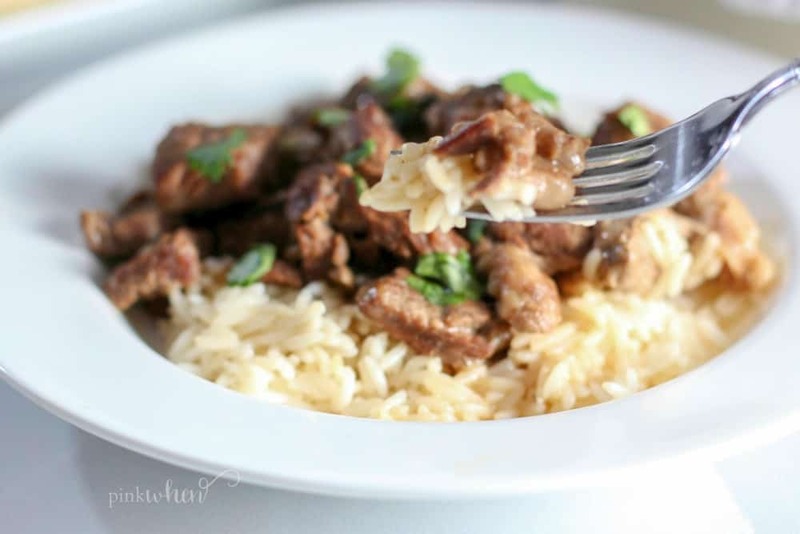 Or maybe this delicious Easy Instant Pot Beef Tips and Rice!